As the cannabis vape market increases, so does our drive to find the best vape cartridges and vape batteries out there. 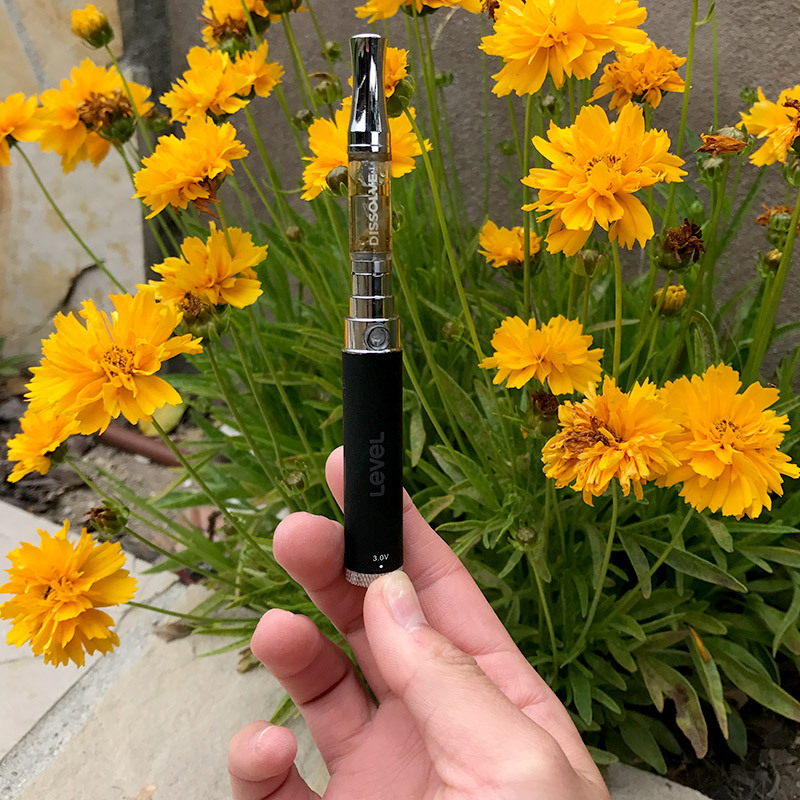 We were fortunate to try, what we think, could be one of the best-selling cannabis oil vape cartridges in California. Level is on a mission to create cannabis products that empower people to live healthier, happier, and more enjoyable lives. 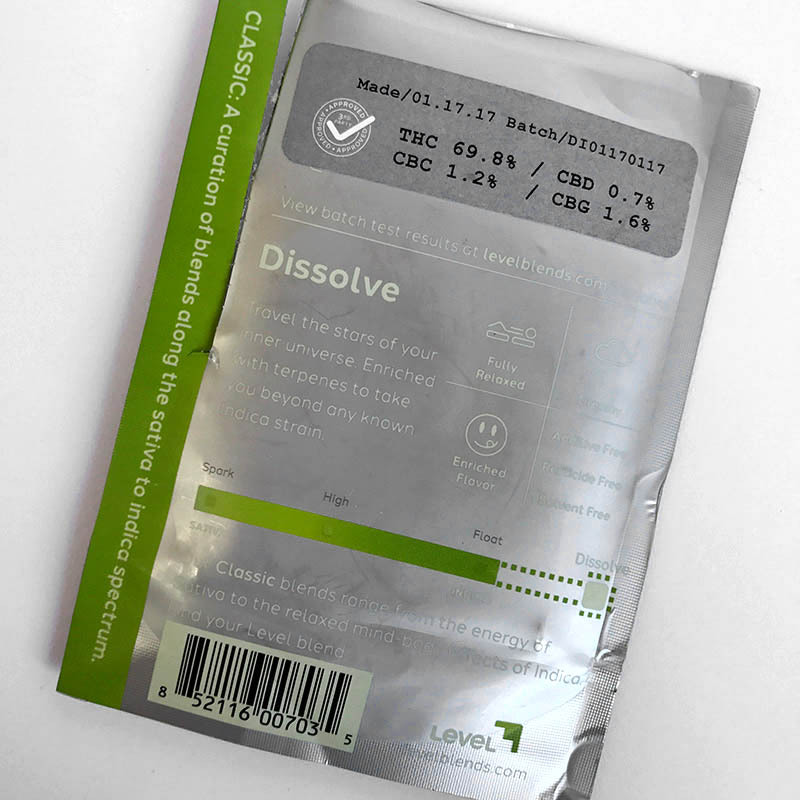 Level produces an array of high-quality cannabis oil blends, expertly designed to achieve desired feeling states. Level scientists apply advanced techniques to unlock the cannabis plant’s many benefits. Level blend cannabis oils are designed to deliver distinct effects for every type of user. They have blends that range from inducing social euphoric experiences to blends that relieve anxiety, but keeps your mind sharp and functional. Their oil blends remind of us of the targeted formulas from hmbldt vapes, but at one third of the cost. Each Level vape cartridge is perfectly assembled with high-quality materials that uphold blend, flavor, and purity. Level vape cartridges come with a beautifully crafted metal tip, glass reservoir, and an organic wick with a titanium coil. 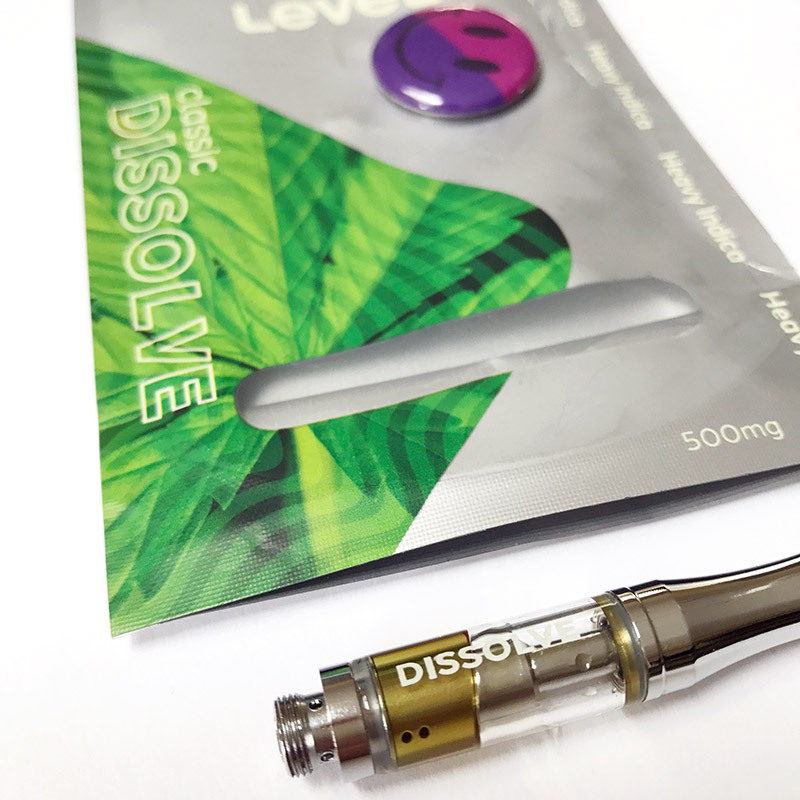 Each cartridge is pre-filled with 500 mg of their special cannabis oil blends and displays the type of cartridge on the glass reservoir so you don’t mix up your vapes! Each cartridge is specially designed to give you the maximum taste and flavor with each hit. 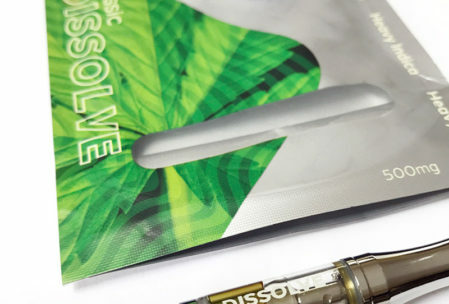 The flavor of the Classic Dissolve (Heavy Indica) cartridge has a buttery taste with a hint of citrus. It was easy on the tongue and throat. The Spark (Sativa) cartridge has a pleasant, light and citrus taste as well. It produced a subtle “pick-me-up” while inducing warm and fuzzy feelings. The Spark is a Sativa-dominant cartridge with a moderately high THC%. All of the oils used in Level vapes originate from organically grown flowers which means they are completely free of pesticides. 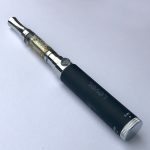 Unlike many cannabis oils, all Level vapes are also free of additives like propylene glycol and butane, which is commonly used with many vape products. Level vape cartridges are not strain specific. Instead, Level offers propriety Level blends of cannabis oil formulated for specific health outcomes, activities and social settings. They have cartridges that range from low to high THC for new to more experienced users as well as balanced CBD blends with non-psychoactive effects. 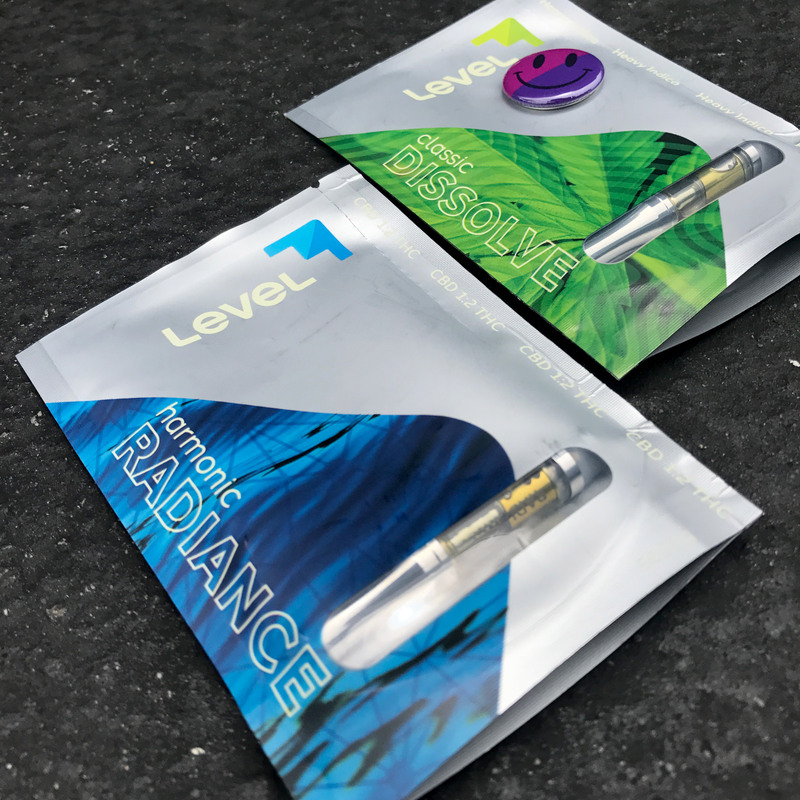 Level Classic blends include Sativa, Hybrid, and Indica oils and are formulated to range from energizing Sativas to relaxed mind-body effects of Indica. Level Harmonic blends combine the euphoric buzz of THC with the therapeutic effects associated with CBD. 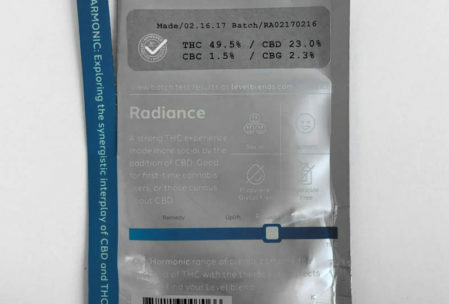 The Harmonic blends are formulated in balanced ratios of THC:CBD so that you benefit from the full effects of cannabis. 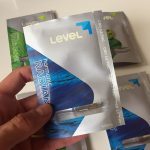 Level posts updated lab facts for each production batch on the packaging as well as on their website. You can also find full lab reports with pesticide testing. 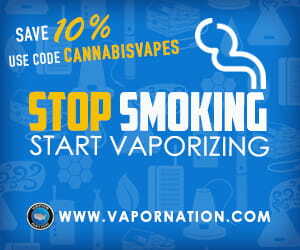 Also, be sure to check out the excellent guide that Level has published on vaping and cannabis. 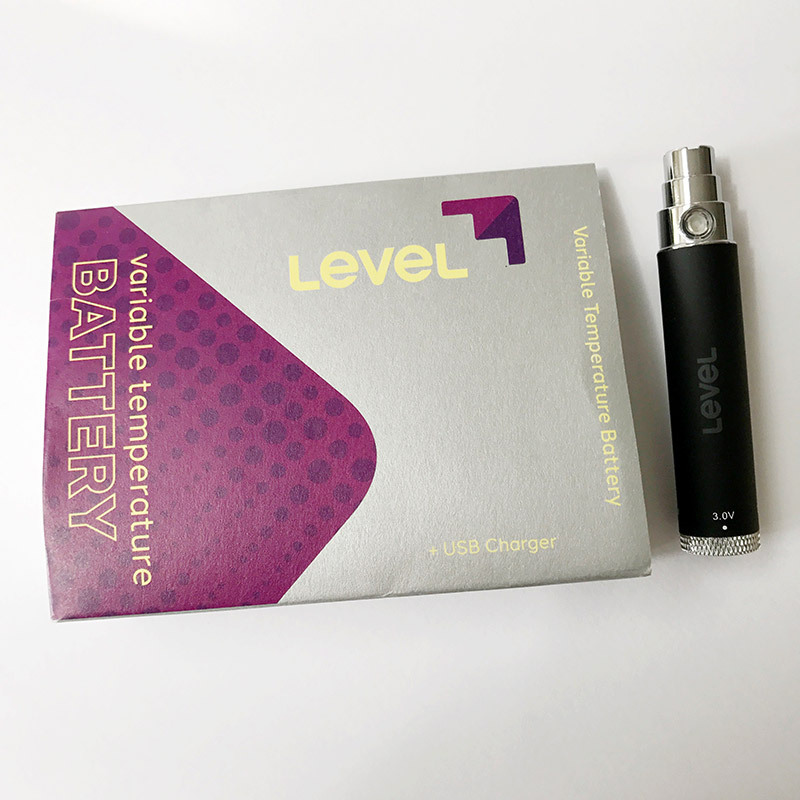 The Level vape battery is compact, powerful, and allows for variable temperature settings to control your vaping experience. The battery itself is sleek, discrete, and easy to use. The battery uses the standard 510 threading and is compatible with most cannabis oil vape cartridges. The battery features a rotating dial at its base which allows you to adjust the voltage which affects the heating temperature. It also features one push-button to power on the device and control each inhale. Level was kind enough to provide samples of their vape cartridge line along with their nifty variable voltage vape battery. 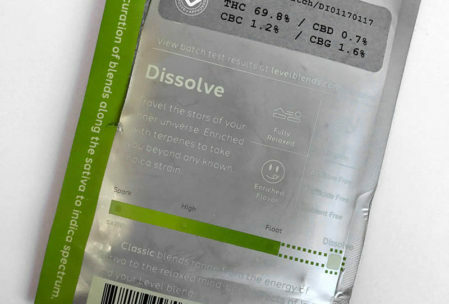 At first glance, we could immediately tell that the quality of Level is consistent with what they promise and enjoyed their offering of a new way to experience cannabis. Level cartridges can produce pretty big clouds depending on the power of your vape battery and the size of the hit. 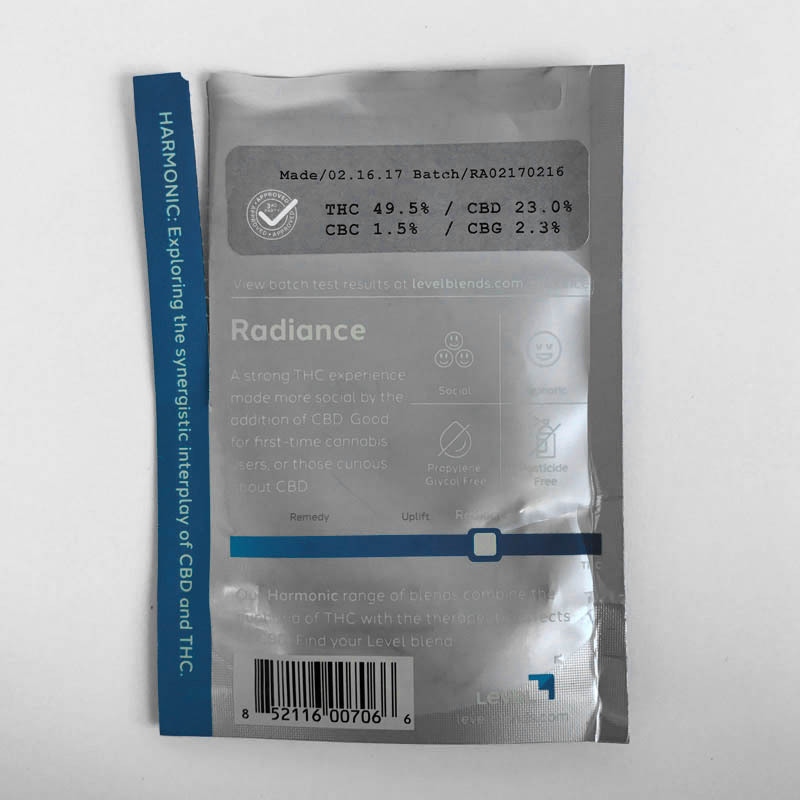 The vapor produced by these cartridges can be heavy or light depending on the setting of the variable temperature battery. The airflow of the cartridges is absolutely perfect as we had no trouble with the draw. Each cartridge gave off similar, buttery and citrus, yet earthy flavored hits that were tasty and subtle. 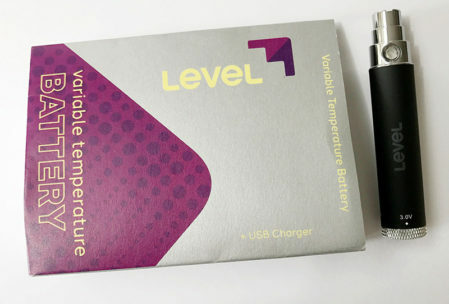 Level’s compact battery has been specially made to help you achieve more control over your vaping experience. We were extremely impressed to see such a powerful yet compact and discrete battery and being able to control the temperature with their vape battery was a nice bonus. Overall, we were extremely impressed with the Level vape line look forward to reviewing more of their products in the near future. All Level vape cartridges are available in 500 mg cartridges for $35. That’s quite a bargain that both their THC and CBD cartridges are the same price as CBD products are typically more expensive. Their branded, variable temperature battery is available for $20. Level vape cartridges are available throughout many dispensaries in NorCAL and the Bay area. 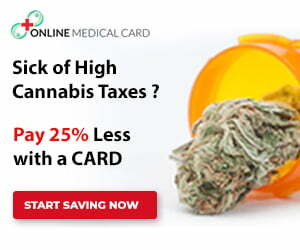 Although, we have seen a couple SoCAL dispensaries carrying Level products as well. If you’re in California, you can also order Level Blends products online. Level used to deliver throughout all of California until 2018 rolled around with new regulations. Currently, Level is only delivering in the San Francisco area, but they do have plans to expand to other regions of California once again – hopefully in the very near future! Look out for more Level products coming soon! Level will be joining the PAX vape family in an exclusive partnership as one of their suppliers for the PAX Era pods. PAX and Level together – now that sounds amazing!